You’re website design is ready and now you’re one step away from going live. That step remains the most crucial – converting PSD to HTML. This web development procedure has numerous advantages and gives your website a great boost towards success. However, the decision of who should render this service is a tricky one. One that, if you get right, will make PSD to HTML conversion an empowering tool towards business productivity; but if you choose the wrong company, it could cause a disastrous outcome. We provide you with 15 indicators, along with questions relevant to each point, which will go a long way in ensuring that you stay safe and satisfied with your choice of service provider. Don’t be in a hurry to make your pick. Research is crucial at this stage, since it will give you a list of the vendors in the market. This is the first order of business. A quick scan into the big players and the renowned freelancers that offer this service. The experience, expertise and values of your vendor are of primary importance. 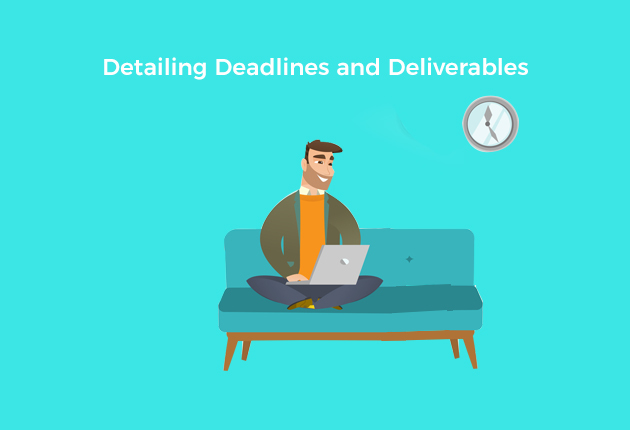 Take your time to shortlist the best vendors in the market and then undertake a detailed research on their practices, turnaround time, execution details, portfolios, etc. Get in touch with the entities that have hired their services and request for feedback, read the testimonials on their service. Be thorough with your groundwork. 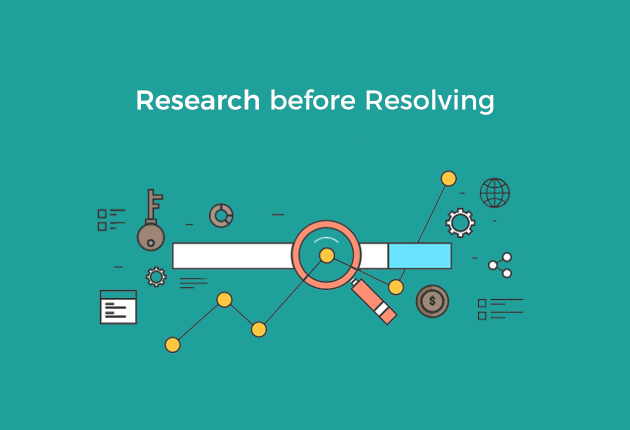 Don’t let their website be the only research point. Check online, specifically via social media, for any information that you may receive on the vendor in question. After completing this process, you will, most likely, find that a particular vendor stands out among the rest for their excellence in service. This is your best fit. What is the time frame from project initiation to completion? Has this vendor undertaken similar projects before? What gives this vendor an edge above the others? Another key indicator towards a successful choice is to check the level of service provided by the vendor in their past projects. The service level is a primary indicator of the end result that will be handed to you. It will also go a long way in proving the credibility of the service provider. This can be done in several ways, such as, going through testimonials, checking direct and indirect reviews, finding out the satisfaction level of past customers, etc. Look for rankings provided by industry experts when making this choice. Another way of checking service levels is by looking at the longevity of the projects completed by the vendor in the past. Every vendor has a certain style of working. Some prefer a closed approach, while others are more open to sharing service details, consultation through phases, etc. The latter is definitely the better pick on the service index. 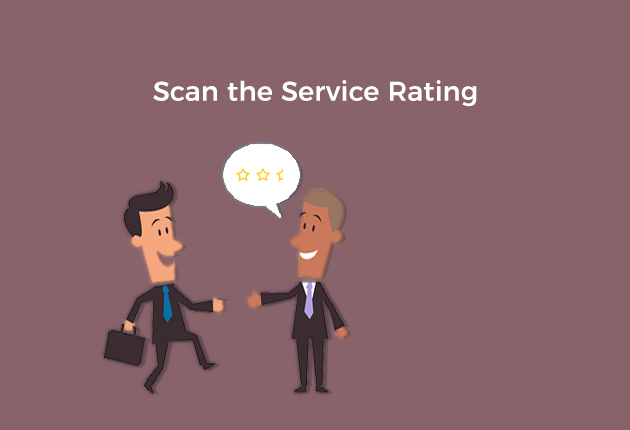 What is the service rating of the vendor? Does their work approach match your own? Are they distinguished in the market for their service excellence? The reputation of a vendor is a direct product of the talent and skill of its team. When looking for a PSD to HTML conversion service provider, a good analysis of the talent pool of the vendor is a must. Every aspect of satisfaction with the finished product is directly linked to the skill of the developers. 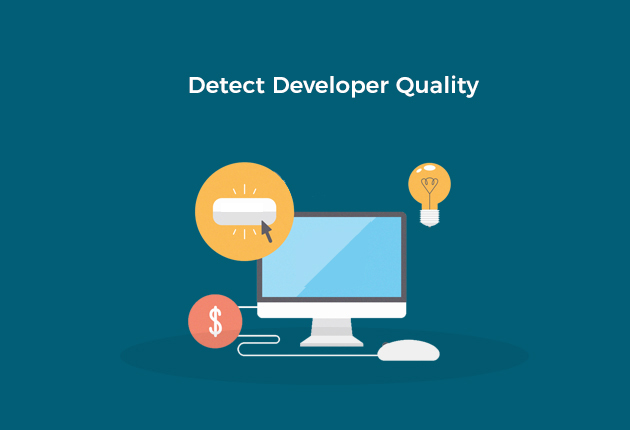 The team of developers that will potentially be assigned to your project need to be interviewed to be able to identify their technical know how, their attitude towards their work and their overall efficiency. This will involve some level of examination skills and you may find it helpful to consult with individuals/ entities that have recently used the vendor’s service. Are they innovative in their approach? Can they provide suggestions for improvisation? Do they seem passionate about the job at hand? First, conduct your own research into the best available technologies for PSD to HTML conversion. Next, find out the technology that the developers are planning to use and check to see if they align with your research. It would also be wise to test how much they know about the technologies that you have researched and their opinions on it. This will be a good reflection of the tech know how and a good indicator towards your choice. Among others, you can make sure to check whether the vendor is in the practice of using W3C validated codes. A mandatory requirement is to ensure that your chosen developers do not use automatic online direct codes and are into the practice of hand coding, the latter is a precursor to an efficient website. What are the technologies that they are familiar with? 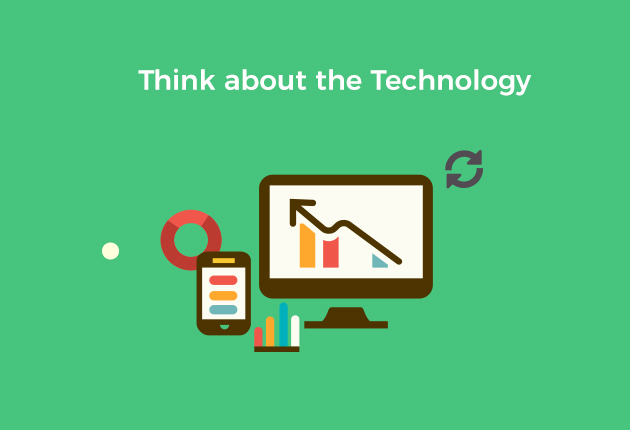 Which technology do they plan to use with your website conversion? Do they use hand coding? With the increasing phenomenon of accessibility on multiple handheld devices, one of the main advantages of the PSD to HTML website conversion service is its functionality across multiple browsers. This remains among the popular feature since it allows your website to work across many different browsers with the same efficiency. 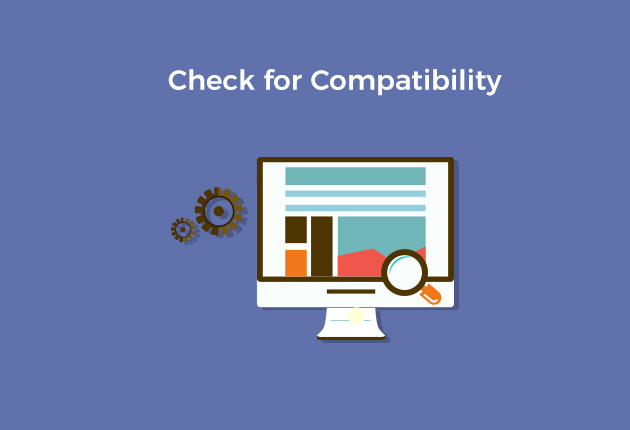 An extension of this cross browser compatibility is the ability of your website to function across multiple devices. A key functionality, since the use of smartphones is increasing at an unprecedented rate. Ensure that this feature is given its due importance. Will my website be empowered with cross browser compatibility? Which technology will ensure the same? How do the developers plan on implementing this? 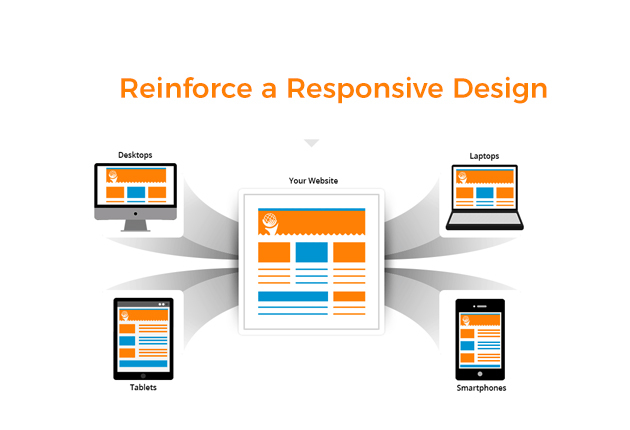 With the rise of hand-held devices comes the demand for responsive sites. A natural outcome of this surge is the sheer volume of google searches that come from smartphones, tablets, etc. The higher your website ranks on Google (and other search engines), the more likelihood of a higher number of hits. To respond to this, a responsive mark-up is integral to your website. Take this one step further and ensure that the responsive mark-up offered is bug free. Does the service provider enable responsive mark-ups? What is the service level of these mark-ups? How do they ensure that the mark-ups remain bug free? The rank of your website is conditional on this one feature. It determines how high up your website will show on any google search related to it. Toward this end, you will need to ensure that your choice of service provider uses Search Engine Optimized (SEO) codes. The overall benefit of correct coding increases the traffic on your website by a considerable rate. 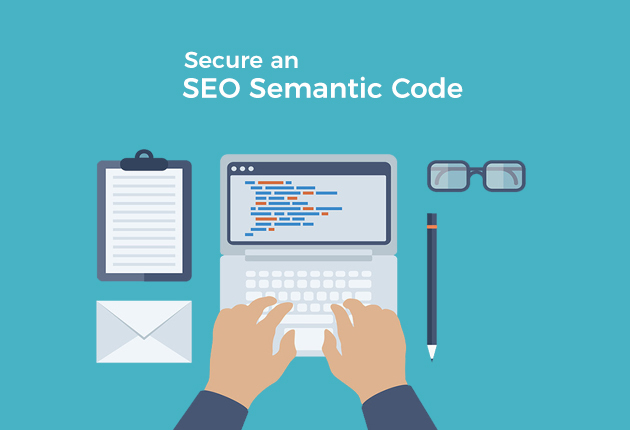 There are several ways to gain access to information on SEO semantic codes. 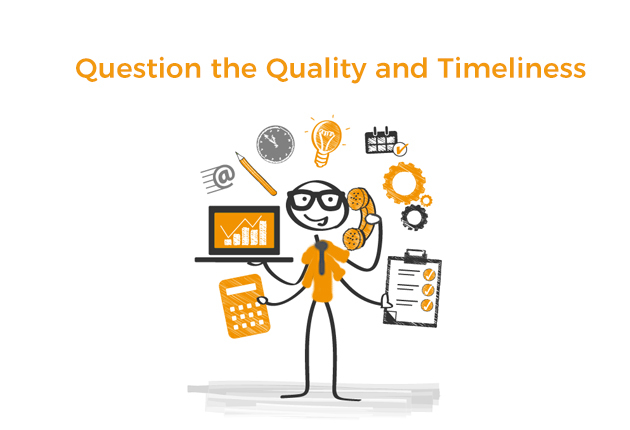 Do your research and be prepared with the questions that will help you identify this all important feature execution. Does the service provider enable SEO Semantic Codes? Which are the specific codes they use? On an average, what is the ranking of the websites they have created in the past? Every vendor is used to making grand promises that boast of the excellence of their execution. Furthermore, most projects come with a demand of a quick turn-around time and vendors are used to making false promises. When reading testimonials and looking at client feedback, on the vendor of your choice, this is an important arena to look out for. Ascertain the quality of their execution and their record of timely delivery. Neither of the two should be compromised for the other. That is to say, fast delivery doesn’t allow for loopholes in execution and vice versa. Pick a vendor that has a history of speedy delivery and quality execution. Does the vendor hold a record of completing the project within the given timeframe? What are the quality controls that they have in place? What is the general time frame that they deliver within? Most experienced vendors come with a guarantee to meet stage completion deadlines. 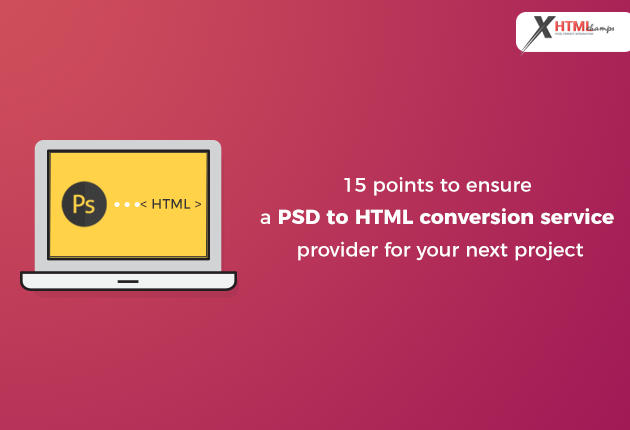 When a vendor is chosen, they create a time frame for your particular PSD to HTML conversion, which details a phase-wise completion plan. Every phase of the project should be detailed accordingly and timelines adhered to. Do not select a vendor that has an apparent history of not communicating openly with their clients and also passes phase deadlines under the pretext of operational hurdles. Provisional hurdles must be considered during the initial planning. Is your selected service provider reputed for clear and open communication? Are they able to provide a phase-wise implementation plan? Have they made provisions for unseen operational delays? Every vendor comes with a different cost. No vendor is too expensive if their work is of the highest quality and execution impeccable. Likewise, a vendor that provides you with a cost that is much lower than its counterparts or the market rate is generally doing so because of a reason. There is possibly a compromise in some operational quality that is at play. When finalizing a service provider for your PSD to HTML conversion, this is an extremely crucial analysis. 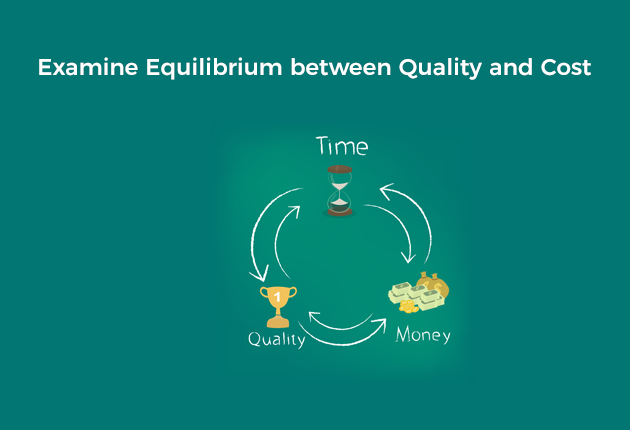 Always look at the cost in relation to the quality being offered. Ask the vendor to support their cost (whether high or low) by detailing what they will offer. The payment plans, offered by the vendor, should be detailed and presented right at the initiation of the project. Is the vendor charging you the market rate for the service? If it is higher, are they offering higher quality execution? If it is lower, have they provided sufficient reasons as to why? Before you finalize on a vendor, take the top 5 from your shortlisted vendors. 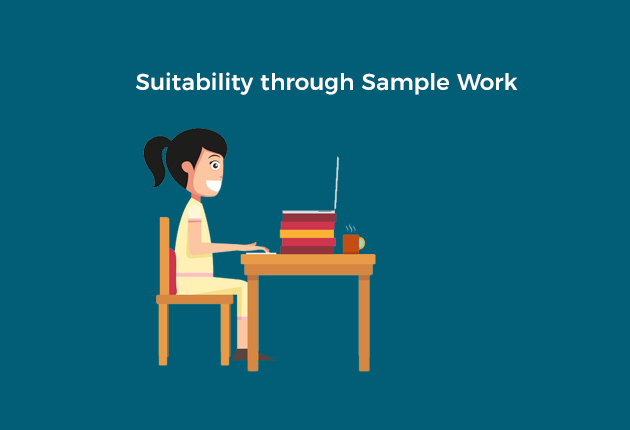 Now, connect with them and see if they can offer you a sample for your reference. This will go a long way in helping you pick the best-fit for you. A lot of service providers offer these kinds of samples to help clients gauge what the end-result will look like. The one that best meets your preferences is then a simple choice. This will also give you a preview into what you can expect as the final product. Is the vendor open to providing a sample of the job? Can they do so without any added charges or at a minimal cost? Can they provide a glimpse of the final product within that sample? As big as your selected service provider may be, it is ultimately the team of their developers that will handle your project. The success of your website lies solely in their hands. Be sure to request a meeting with the developers that are entrusted with your project. Gauge the quality of their work, their attention to detail and transparency. A good developer is the backbone of a strong website and selecting the best available resource should remain a priority. 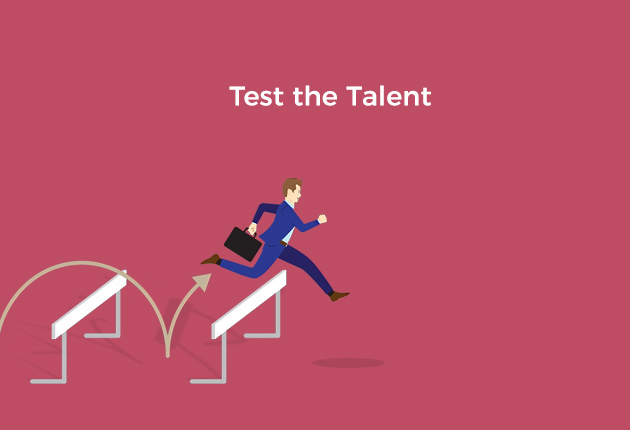 Ensure that they have a good amount of experience, are skilled at their execution and deliver in a timely fashion. Is the selected service provider open to arranging a meeting with the intended developers? What is the skill set and experience of the team of developers? Have they undertaken similar projects in the past? 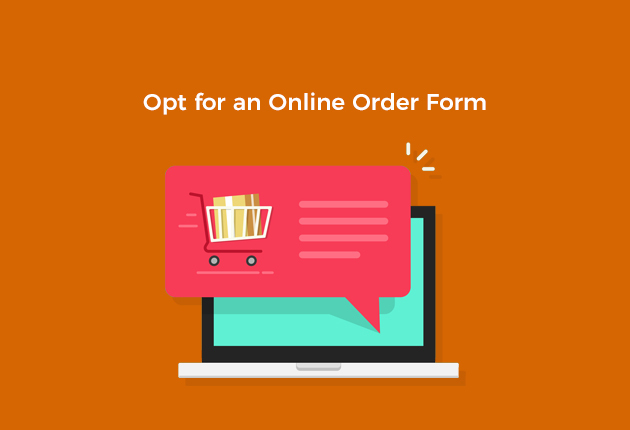 An online order form is simply a form that details every requirement and agreement of the project. All your basic information, project information and requirements will be clearly stated within this form. From the vendors end, this form will include the entire cost with details of its breakdown, the complete end-to-end time required for the project, and execution details. This should be an absolute must-have as far as you are concerned. It allows for systematic association between the vendor and the client and irons out any unforeseen miscommunication issues. Does the vendor provide an online order form? Is there provision to detail all of your information requirements from the vendor? Does it carry all the details of timelines, cost, etc.? Simply put, this is a legal contract that will be signed between your vendor and yourself that will assure against public exposure of your private business information. The privacy of your project is of paramount importance and will be covered under this agreement. Never assume that the selected service provider will safeguard it to your expectation. 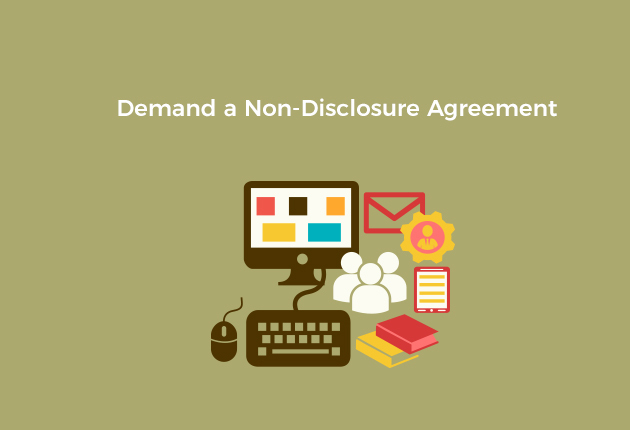 Always protect yourself from possible harm by insisting on a non-disclosure agreement. It will also ensure that any private and confidential information will be protected from any third parties. This agreement protects you from the possibility of information leaking out from the web development company. Is the selected service provider prepared to sign an NDA? Are they in the practice of signing this agreement before any project initiation? Is there any history of information leaks, related to that particular vendor? The PSD to HTML conversion project might be complete. You might be satisfied with the result, but you can be rest assured that you will need help along the way. Whether it is implementing certain settings of the platform or assistance to navigate through certain aspects of it, follow-up support is integral when selecting a service provider. Most vendors offer this service either within the original cost package or at an additional charge. You must ensure to discuss this with the vendor and clear out the terms from the outset. Services, such as 24/7 customer care, designated support developer, regular maintenance updates, and miscellaneous technical support come within this bracket. Check the repute of the vendor for additional support and request for a guarantee within the contract. Does the vendor offer additional support after project completion? 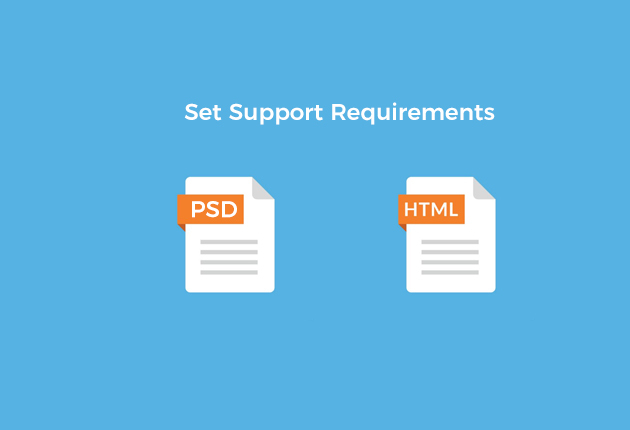 What services are included in the additional support bracket? Is the service provider reputed for offering regular and reliable support in past projects? The above-listed items are an overarching reference point for you to safeguard yourself from any mishaps in your PSD to HTML conversion journey. Every point should be given due attention and only the service provider that scores the highest should be your selected vendor. The reputation of the vendor, the technical talent, the quality of the developers, the experience of the team and their added services, etc. goes a long way in deciding the success rate of your website. With clean codes, W3C validation and cross browser compatibility, you are mitigating your digital presence from potential risks. The selected vendor should be one with good work-ethic morale and a high rate of execution efficiency. Most importantly, the attitude and principles of the company should be in close tandem to your own. Once you have selected your service provider, sit back and enjoy the process of witnessing your website transform into a powerful tool towards business development.